Yes, home sales have declined. Hey, it’s November! They always drop off. Still, the over all indicators show that 2018 is our best housing market in 5 years! As the trend will most likely tend to slow down through January, sells will start to creep back up again, soon. What can you do to be ready for the next big selling season? Winter finally came to the Highlands-Cashiers Plateau. While we received between 14″-18″ of snow, there was another “chilling” prospect to begin the new year. Property Tax re-assessment. Follow this link to better understand the property tax in Jackson County, NC. You can also watch this report on WLOS-TV13 in Asheville, NC. What effect will the new tax assessment have on sales? Only time will tell. 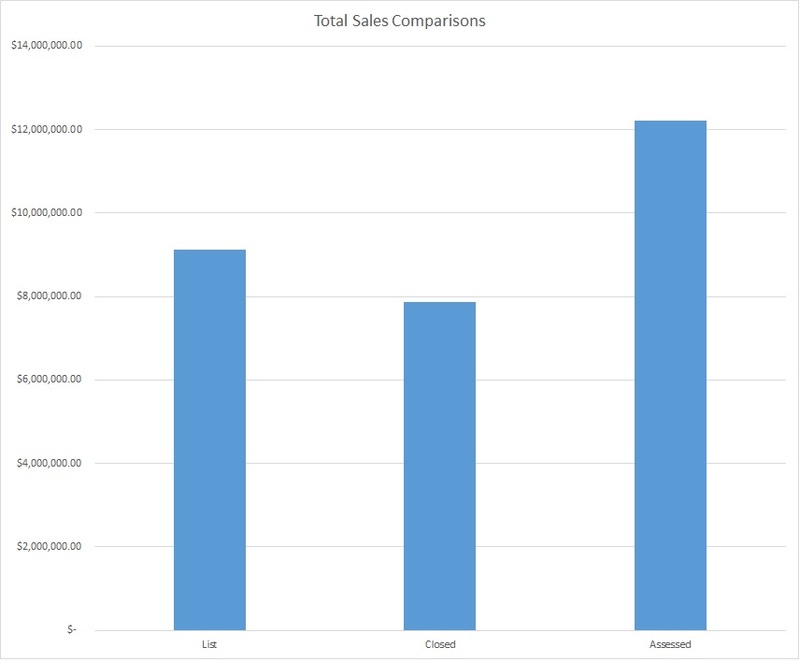 However, we should be able to see the tax assessment aligning more evenly with recent sales (see chart below). While Real Estate Agents/Brokers are trying to get prices near their “assessed” values, we see that the majority of homes are closing for considerably less. This should help homeowners to see that buyers drive the market and determine the fair value of a home. If you would like to review your assessment, Hattler Properties has an agent that will assist you to dispute your property tax. For more assistance, click here to contact this agent. Total homes listed in Highlands/Cashiers MLS: 1138 – The Year Over Year (YOY) average inventory is 1339 homes. Many homes come “Off Market” during winter months then return in the spring. Inventory: 24 months – This is determined using the Average Sales Per Month as this market is very seasonal. This is a huge inventory. Healthy markets are considered 6 months or less. DOM: 474 – This is a slight decrease, but still needs to move lower. Sellers may expect their homes to be listed for long periods of time unless they are willing to make adjustments in pricing. Median Sales Price: $308,500– This number has been hovering around this mark for a few months, up from the $250,000 range that was previously held for some time. Average List/Sell Ratio: 87.21% -In other words, if you had a home listed at $100,000, it most likely closed at $87,210. Listing a property that will sell for less may not be in the best interest of the seller. “Motivated” sellers need to talk with their agent to get realistic pricing. Synopsis: We are entering a slower time in home sales, as is expected for the season. While we do expect an increase beginning around May, homes should be on the market in March to close by May. Correct pricing can mean the difference between a quick sale and a home that may be on the market for a longer period. 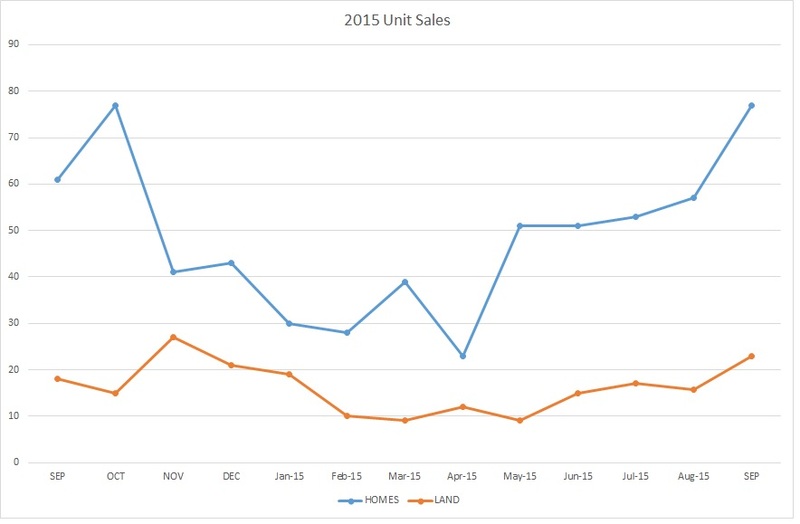 Land Units Sold: 7 – This is about 1/2 of the number of units sold in January of 2014 or 2015. It is the least number of land sales for compared to any month in 2015. This continues to show there is no real demand for land. Inventory: 78 months. That’s 6.5 years of inventory. Average List/Sell Price Ratio: 45.14% In other words, land sold for less than 1/2 of what it was listed for. Synopsis: While land sales continue, sellers should not expect top dollar for land. Little is moving as there is no real demand for land, at present. The huge inventory means buyers have plenty to choose from. 19% of home sales ranged from $500,000 – $749,999. Sellers, you should get with you broker on the new Tax Assessment for Jackson County. Look over your data and make sure you are positioned correctly to sell your home. Buyers, your opportunity to own a Mountain Home may not be better. 2015 showed an increase in home sales compared with 2014. As home sales increase, no doubt Brokers will be trying to get more for their clients. Not only did we see very warm temperatures in December, but the Real Estate Market for the Highlands/Cashiers area was hot as well. According to the activity report from the National Association of REALTOR’S® for the Highlands/Cashiers Board of REALTOR’S® , we haven’t seen this many home sales during the month of December since 2005. Good news indeed for home sellers. Recent Home Sales for Highlands/Cashiers December 2015 CLICK to see larger image. 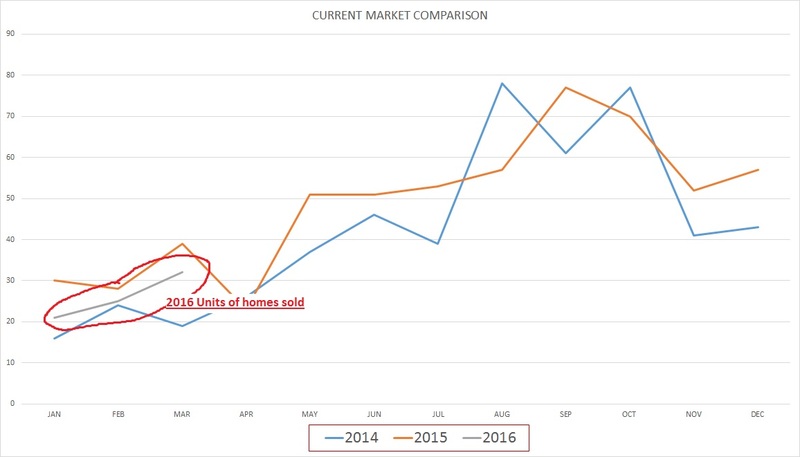 2015 ended up showing a near 16% increase in the number of homes sold, as compared with 2014. Land, showed a decrease in unit sales of just over 9%. The big question is, “Will this momentum continue through the rest of the winter months and into next year?” While January is typically one of the slower months of the year for the region, only time will tell us the true story. Here again, optimism continues as this market continues to show overall improvement. Total homes listed in Highlands/Cashiers MLS: 1030 – This is a 20% drop in inventory from November. This is good news for those still on the market as they have less competition. The Year Over Year (YOY) average inventory is 1339 homes. 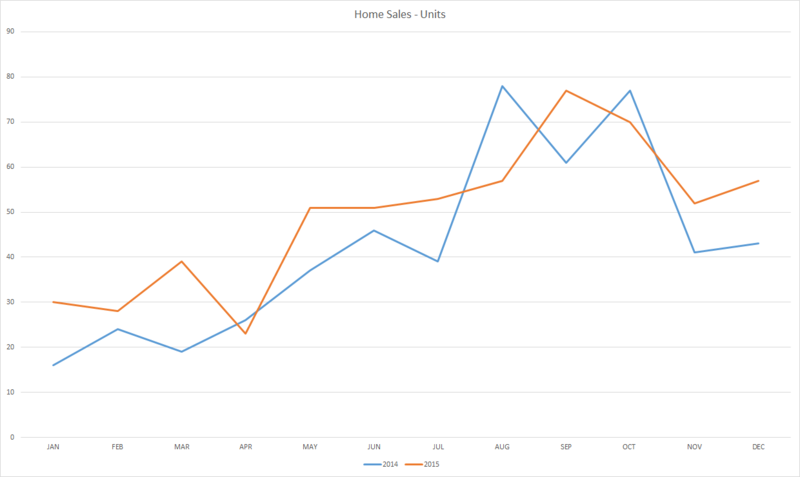 Average Sales per Month 1 Year Average: 49 Unchanged – This is good news in that it shows the market holding steady. Inventory: 21 months – This is a 25% reduction in inventory. More good news. However, healthy markets are considered below 6 months. DOM: 490 – This is the average for the month of December. Average DOM (YOY): 448 – While this number is down, it will be hard to reduce by much until we get rid of much of our older inventory. Average List/Sell Ratio: 90.05% -This is an indicator that home pricing is still considered high, overall. Homes are selling at 90.05% of their “List” price. To attract buyers and possibly shorten your Days On Market (DOM), one should carefully consider the pricing of their home. Synopsis: 2015 has ended on a high note. Now may not be the time to hesitate if you’ve been considering purchasing real estate in Highlands/Cashiers area. Still, with such a large inventory, it may not be reasonable to expect a quick sale, unless your home is priced correctly. A good question for sellers to ask themselves is, “How many times has my home been shown?” If you’re getting little to no views, most likely its pricing and not your REALTOR®’s efforts in advertising. Land Units Sold: 20 – While this is a slight rise in land sales, this is the total number of units sold for the entire MLS serving the Highlands/Cashiers area. Land sales for the year are down compared with total land sales for 2014. Real Estate Sales – Land/CLICK to see larger image. Average List/Sell Price Ratio: 92.86% Land is still considered to be overpriced. Synopsis: The huge inventory of land and lack of demand will continue to have an effect on pricing. 17.5% of home sales ranged from $500,000 – $749,999. Sellers, while December has shown it can be a strong month for home sales, if you are not listed you may not be leveraging this opportunity to sell your home. Many feel that if no one is here, no one is buying. The statistics show otherwise. Buyers should not hesitate and miss this opportunity to buy a home in the Highlands/Cashiers area. Land is at its lowest in many years. This past December has shown it to be the strongest since 2005. As the market continues to show an uptrend, delaying in a purchase could cost you thousands. Says Zillow Chief Economist, Dr. Svenja Gudell. Many clients in the Highlands/Cashiers real estate market want to know why their homes have not sold. They often speak of markets in other areas where they may also have homes and speak of how the market is doing there. According to Zillow’s Dr. Gudell, she states, “…we’re still seeing a number of homes losing value.” The real estate market varies in different regions. For example, in the Highlands/Cashiers market area we have about 1350 homes on the market. The yearly average in sales is around 49 homes per month. 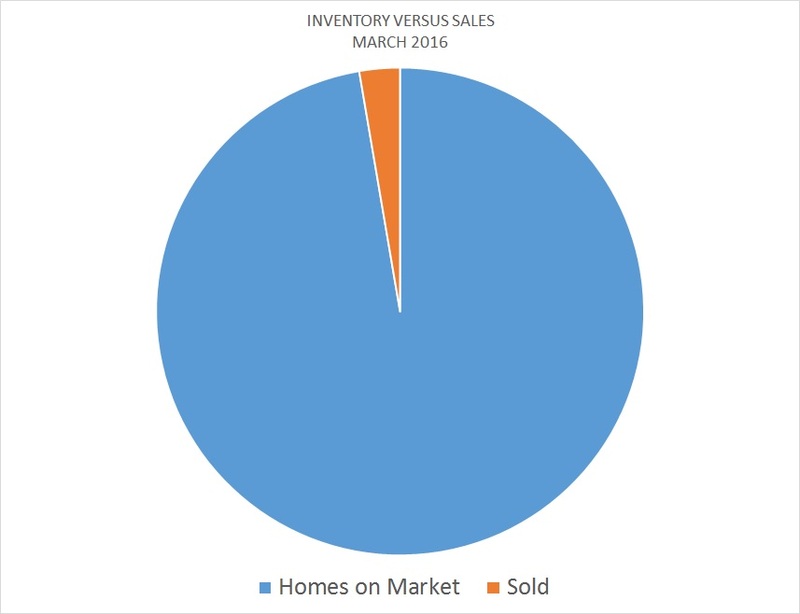 That’s about 3.6% of the inventory sales in any given month. As a result, one might say you have about a 3.6% chance of selling your home. Not a good number, especially for investors trying to “flip” a home. What can you do to improve the opportunity to sell your home? You need to price better than your competition, also known by appraisers as Substitution. However, there’s no need to panic. This is the yearly decline in sales that happens every season in our part of the world, as you see represented in the chart above (blue line is 2014). 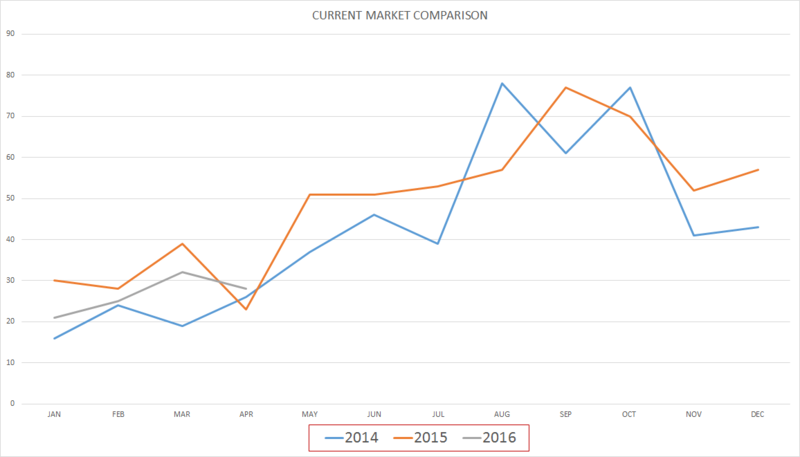 However, what we have seen in 2015 (represented by the orange line) is that sales have been up overall in comparison with 2014. This is good news. What is in store remains to be seen. However, some ask, “Should I take my property off the market for the winter months?” Let’s look at the chart and make a few considerations. If you’re home is off the market, it is not being seen by the over 200 brokers in our MLS. This almost assures it will not sell. 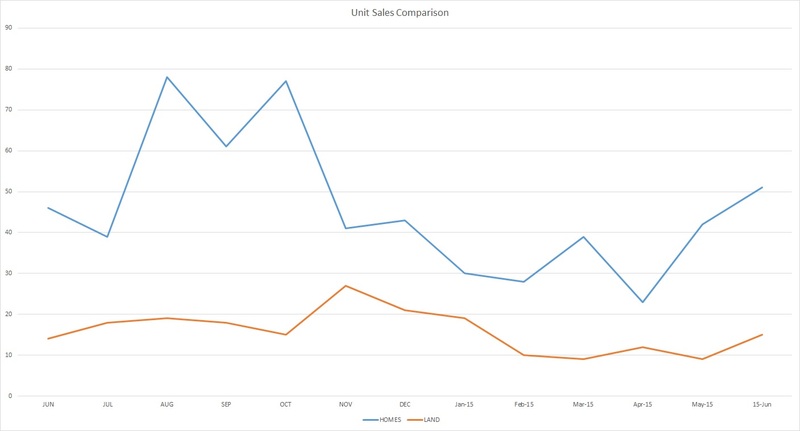 However, when we look at the chart, we see sales start to increase around January. Why is this? Visitors come to our area in October for the leaves, November to get their Christmas tree’s and December, hoping for a white Christmas in the mountains and possibly to do some skiing. They fall in love with the area and start looking around. Now, consider how the buying process works. It may take a couple of weeks for negotiations, then another 2-3 weeks for Due Diligence (inspections, financing, etc). Closing and financing may take an additional couple of weeks, as well as Title search, etc. In view of this, it can easily take a couple of months to finally close on a property. This means, if we want our home to be one of the rising statistics for March, we need to be listed as early as January. One thing is for certain, if you are not listed, your chances of selling are greatly reduced. And, since many people will take their homes off in the winter, the inventory is reduced which may increase your opportunity to be seen. Homes Sold This Month: 70 – This is a 10% drop in sales from previous month. Sales are expected to decline for the next couple of months. Inventory: 28months – Unchanged. A healthy market is considered by many to be less than 6 months. DOM: 369 – This number has continued to drop. Part of the reason appears to be that many of the newer listings are getting closer to the real market price. Average DOM (YOY): 463 – This is unchanged Sellers should not expect their home to move quickly, unless it is very well positioned. 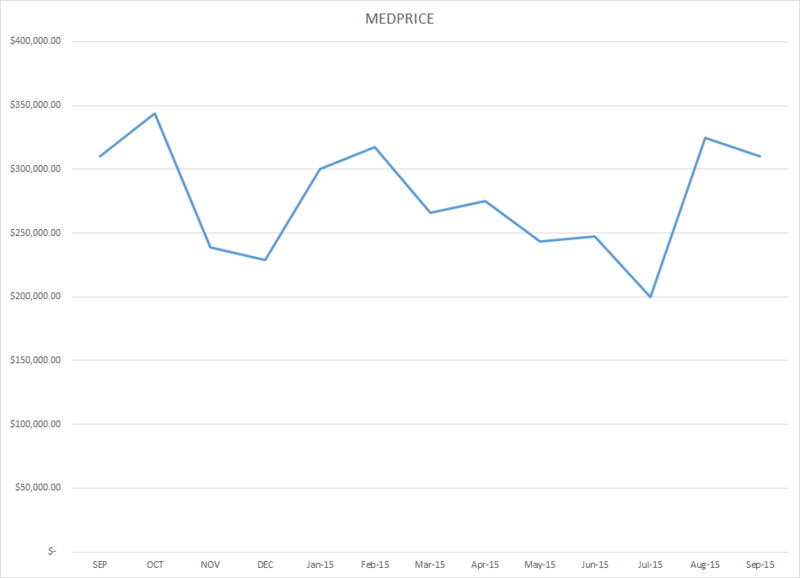 Median Sales Price: $390,000 – This is another good sign in that the “middle of the market” is continuing to increase. It would seem buyers are spending more on homes. Average List/Sell Ratio: 87.37 -This shows that many homes are overpriced. If your home is not being shown, this could be the reason. 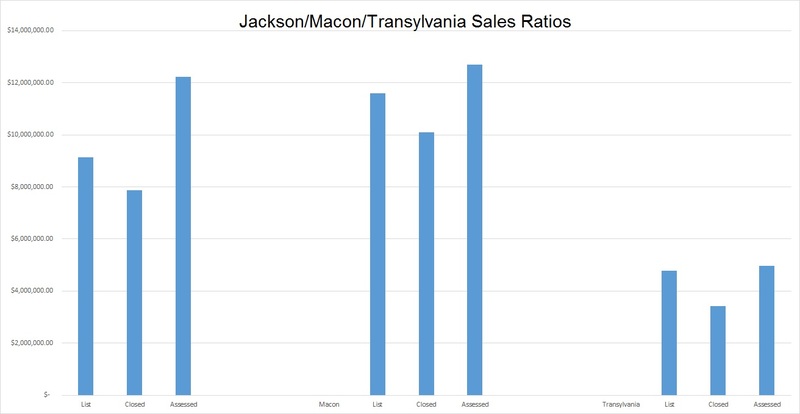 The following chart shows Macon County Tax Assessment ratio much closer than Jackson County. It’s also interesting to note that Highlands, NC did see more home sales, possibly as a result. Macon has lowered the value on many properties. However, the millage rate has been increased. Macon County Tax Assessment Near Market Values – Click image to see larger display. 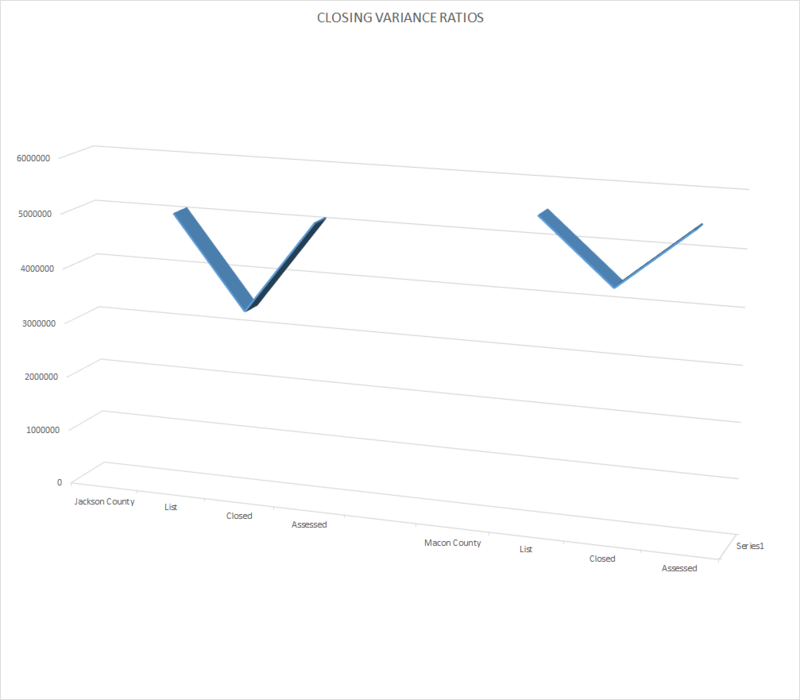 You will also note in the chart above that homes have been listed way above their Closing Values. This will add to the Days On Market, if your home is not priced correctly. Remember, buyers drive the market, not Brokers. Synopsis: While sales are expected to drop off during the next couple of months, it is important to have your home priced correctly. If it is priced correctly, you may even have a better chance of selling as others come off market. You may want to have your broker do another CMA if it’s been a while. Average Sales per Month YOY Average: 16 Unchanged. 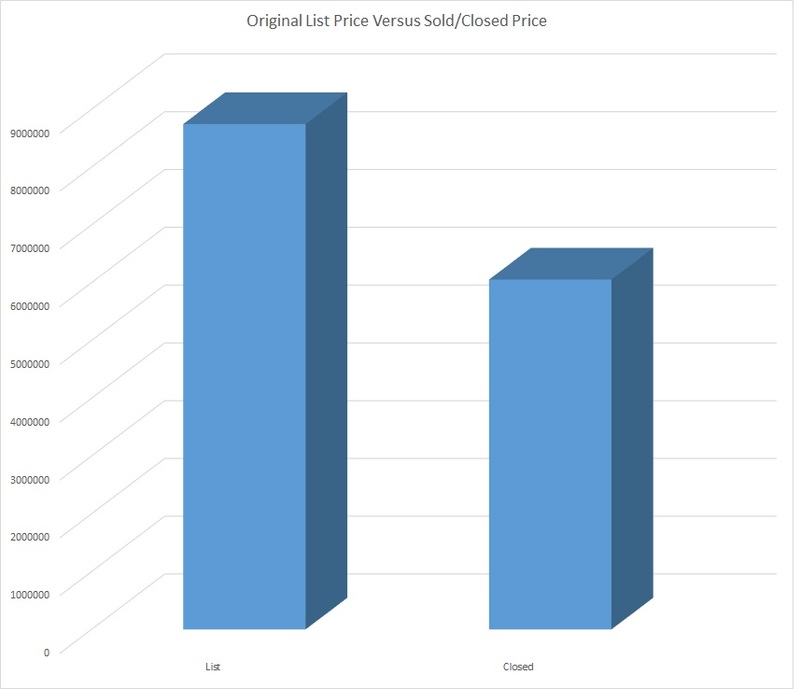 Average List/Sell Price Ratio: 68% This shows that land is still considered to be overpriced. Synopsis: There continues to be no real demand for land. Also, land is considered to be overpriced by buyers, as seen in the List/Sell Ratio above. With large inventory, anyone expecting to sell their land soon may have to consider stronger incentives/lower prices to encourage purchasing. 40% of home sales ranged from $250,000 to $499,999. 40% of home sales ranged from $500,000 and above. Sellers, remember, it’s not what we would like to get for our property, but what the market will bare. Buyers should not hesitate. The market in this area is showing signs of increase. As the increase continues, prices will be expected to follow. If you’re considering listing your home for sale or purchasing a home in NC, please feel free to contact a local agent. He will make a specific report for your area in our MLS (Sapphire, Norton, Glenville, Highlands, Toxaway, Clear Creek, Breedlove, etc). You can then make an informed decision on how to sell or buy your home. For your home value or up-to-date Market Report, contact the agent on Top of the Market. While the Median sales price had been hovering around $250,00 for quite some time, September held for the second month in a row above $300,00. This may be due, in part, to an increase of over 35% more home units sold compared to August. This is nearing the end of the busy season. There is a definite down swing in the winter months. Inventory is still high, which will continue to keep prices low. Just as we do not know if we’ll have a great color season on our leaves, we can not anticipate what the market will do at this point. We’ll just have to wait and see. Still, hopes are high. Marketing will continue. Homes Sold This Month: 77 – This is for the entire MLS for the Highlands/Cashiers Board of Realtors (BOR). There are approximately 73 offices in our BOR. Inventory: 20 months – This is another slight decrease, which is good news for sellers. A healthy market is considered by many to be less than 6 months. Inventory is still high. DOM: 357 – This number continues to drop. The continued market sales increase will help to lower this number. Here, again, as we move into our “slow season” this number is expected to rise. Average DOM (YOY): 468 – Sellers should position their homes well to increase their opportunity to sell. Median Sales Price: $310,000 This is not average, but where the middle of the market was shown. Average List/Sell Ratio: 90.52% – Homeowners should consult with their broker to determine a realistic selling price. Buyers determine the market. If your home is not being shown, perhaps you’re priced to high, as this ratio shows. One should not use Tax Assessment to determine Market Value. Consult with your Broker or hire an appraiser. CLICK HERE to get an estimate of your home value. Synopsis: Sellers may want to consider a re-evaluation by their broker. The total number of units sold in comparison with the current inventory available suggests one needs to position competitively. Average List/Sell Price Ratio: 82% Overall prices remain above what the market will sustain at this point. Synopsis: There continues to be no real demand for land. The huge housing inventory allows one to purchase a home without the need to develop land. 52% of home sales ranged from $200,000-$750,000. 63% of those home sales were above the $300,000 mark. Sellers should carefully consider pricing. While the leaf season attracts visitors, only attractive pricing will encourage buyers to make a purchase. Buyers, this is still a great market for you. However, as the market continues to rise in many places, anticipation for such may encourage sellers to hold out. Delays in purchasing may mean higher prices later. If you’re considering listing your home for sale or purchasing a home in NC, please feel free to contact a local agent. They can make a specific report for your area in our MLS (Sapphire, Norton, Glenville, Highlands, Toxaway, Clear Creek, Breedlove, etc). You can then make an informed decision on how to sell or buy your home. This material is based upon work performed by Rick Creel, Broker. It is intended to provide an overall view of the real estate market for Highlands, Cashiers and surrounding areas of the Highlands/Cashiers Board of Realtors. It is composed of data from the HCBOR and NAR for this MLS only. Any opinions, findings, conclusions, or recommendations are those of the author and do not reflect the views of any others. There can be no assurance that this information is complete, accurate, or includes all available market data; all information is subject to change. Users of this information are advised to consult with their financial experts about the interpretation and usefulness of information contained herein. It is unlawful to duplicate or distribute the information contained in these reports without written permission by its author. For more information or to consider listing your home with an agent or buying a home CLICK HERE. Although the number of home units sold in July was slightly lower than Junes report, July did see an increase in comparison with July of 2014. This is good news in that the overall market does show promise. While sales may not compare with many other ares around the nation, it does offer hope that our market is showing positive signs. We are actually heading into the more promising months in sales. Will this growth continue? In looking at “Pending Sales”, that is homes that are under contract moving towards closing, there are around 100. However, some of these may fail due to inspections, financing, etc. Still, it looks like much is in the works for homes. Land is looking flat, and we’re not talking about the topography. In looking at the chart below you will see that land sales remain relatively non existent. This may be due to the fact that there are so many homes in inventory. You can easily find a move in ready home without having to develop land. This is also a determining factor in keeping the value of land low. Homes Sold This Month: 50 – This is for the entire MLS for the Highlands/Cashiers Board of Realtors (BOR). There are approximately 73 offices in our BOR. Inventory: 28months – This is a slight decrease, which is good news for sellers. A healthy market is considered by many to be less than 6 months. DOM: 438 – This number has continued to drop. The continued market increase in sales has helped to lower this number. Average DOM (YOY): 463 – Sellers should not expect their home to move quickly, unless it is very well positioned. Median Sales Price: $200,000 – This was a substantial drop in previous numbers. It just shows where the “middle” of the market is hovering. Average List/Sell Ratio: 89.94 -This helps us to appreciate that most buyers are getting properties for about 10% less than the asking price. Homes priced above the market typically stay on the market longer. Sellers should check with their broker and see if they feel they are priced correctly. In looking at this ratio it may be in the Sellers best interest to consider lowering the price of their home. Your Listing Broker will be able to assist you in looking over your information. Synopsis: Continued growth is expected. This is the “busy” part of the Sales Season. Pricing is crucial to meet the market and to position for a sale during the season. Average List/Sell Price Ratio: 51% Overall prices may be above what the market will sustain at this point. Synopsis: There continues to be no real demand for land. This will continue to keep prices down. With large inventory, anyone expecting to sell their land soon may have to consider stronger incentives/lower prices to encourage purchasing. 42% of home sales ranged from $160,000 to $400,000. 26% of home sales ranged from $400,000 to $1,000,000. Sellers should carefully consider their pricing to take advantage of a sale this year. Buyers should not hesitate. Increase in sales and overall market growth encourage price increase. Home sales continue to rise. This is good news for the Cashiers/Highlands area real estate market. However, one should not forget this is the busy season. 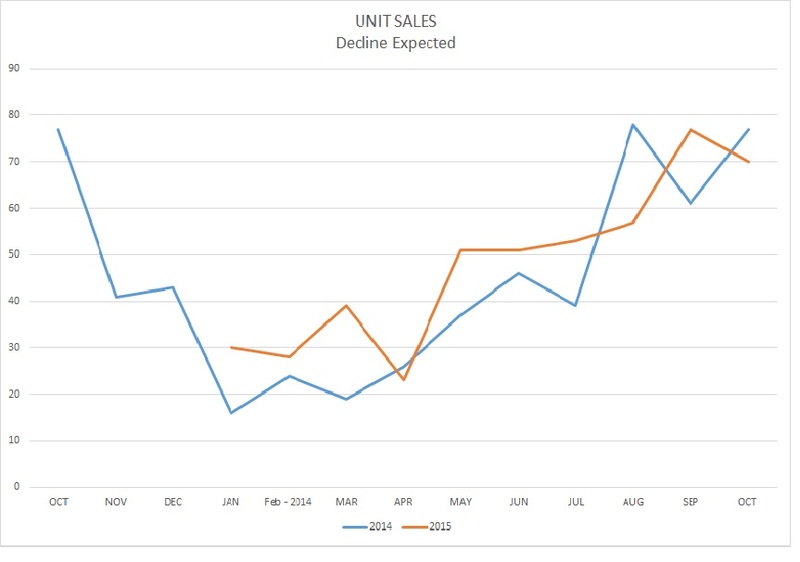 Unit sales do rise this time of year. Still, the Year Over Year (YOY) data continues to show the market as being a little stronger than last year. Those desiring to sell their home should not hesitate in listing their homes to capture buyers visiting our area. Total homes listed in Highlands/Cashiers MLS: 1568 – This is an increase of over 300 homes compared to May’s inventory. Larger inventories may continue to hold prices down. Homes Sold This Month: 51 – This is for the entire MLS for the Highlands/Cashiers Board of Realtors (BOR). There are approximately 73 offices in our BOR. Average Sales per Month 1 Year Average: 46 – This is on target. So, although we did sell more homes in June, this is not unexpected. Inventory: 30 months – This is a slight increase. The addition of 300+ additional listings compared to only 51 home sales accounts for this increase. A healthy market is considered by many to be less than 6 months. DOM: 376 – This number has continued to drop. The continued market increase in sales has helped to lower this number. Average DOM (YOY): 465 – This is a slight increase, due to some of the older listings just now being sold. However, this number still shows sellers should not expect their home to move quickly, unless it is very well positioned. Median Sales Price: $247,500 – This number continues to hover around the $250,000 range. It helps us to determine the “middle of the road” in selling a home. YOY Median Sales Price: $272,050 Using the monthly Median Sales Price and the YOY median sales price, sellers priced in the $250,000 – $300,000 appear to be in the heart of the market. Average List/Sell Ratio: 91.53 -This number helps us to see that many homes may not be bringing their “Asking” price. It also helps us to determine how buyers see our market. While all Brokers want to help Sellers bring the most that they can for the sale of a home, the market is ultimately determined by what Buyers are willing to pay. If you are considering listing your home for sale, you should request a CMA from your Broker. Your tax assessment may not give you an accurate picture of the market. You can also request a FREE CMA (Comparative Market Analysis) for Highlands, Glenville and Cashiers area here. Synopsis: Continued growth is what we see in our YOY reports. This growth is anticipated over the next few months. Seller should take advantage of these opportunities to get their homes listed and sold. Land Units Sold: 15 – This is a 66% increase in land sales. Although the percentage sounds high, this was only an increase of 6 more parcels sold compared with May 2015. Total listed in all MLS: 1328. This is another increase in land of 36 more parcels available. No expectation of increase in sales at present. Average Sales per Month YOY Average: 16 Unchanged. Overall land sales are not expected to have an increase. 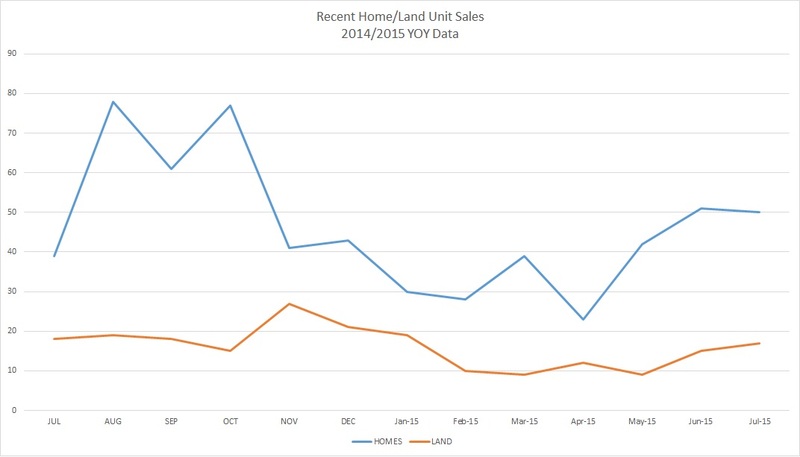 In reviewing recent sales in the chart above, land sales remain relatively flat. Inventory: 83 months. Slight increase due to more parcels being added. At the rate of sales for land and this huge inventory, sellers should expect to hold on to their property unless they are willing to offer exceptional pricing. Average DOM: 579 – Decreased. However, this is still nearly 18 months. Although overall land prices have been drastically reduced by many, land purchases are still very low. 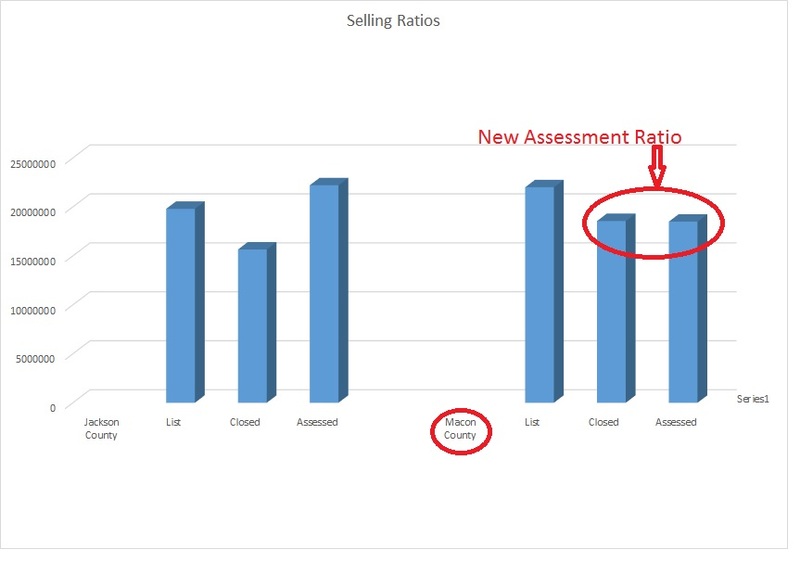 Average List/Sell Price Ratio: 86.68 This is another increase in this ratio. Still, it shows that overall prices may be above what the market will allow at this point. Synopsis: There continues to be no real demand for land. This will continue to keep prices down. This is still a great market for buyers. With large inventory, anyone expecting to sell their land soon may have to consider stronger incentives to encourage purchasing. Home sales pricing was a large mixture with the largest of sales in the $300,000-$400,00 range. This market is typically very seasonable. As we enter into the peak season of visitors to our area, home sales are anticipated to continue rising. Hesitation on the part of buyers can only mean they could miss out on a great opportunity to own a home in the mountains.